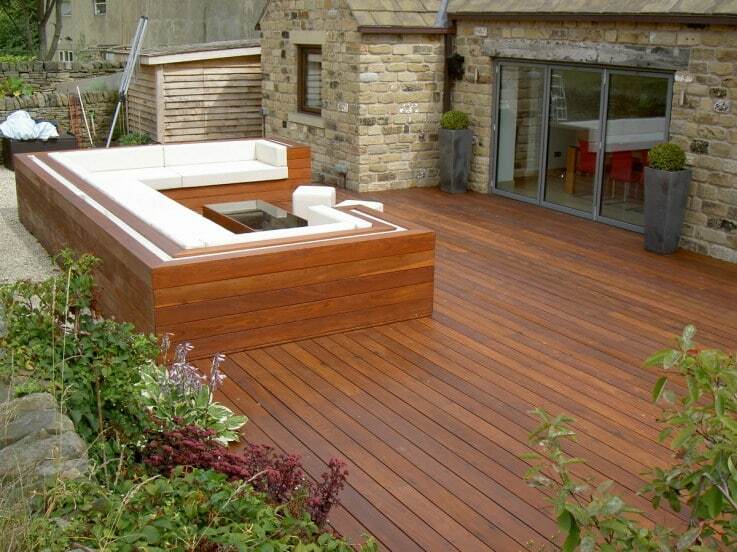 If your decking is new, was weathered and has been cleaned or was previously coated and has now been stripped then you are ready to protect it against damage from UV rays and moisture using a protective finish. 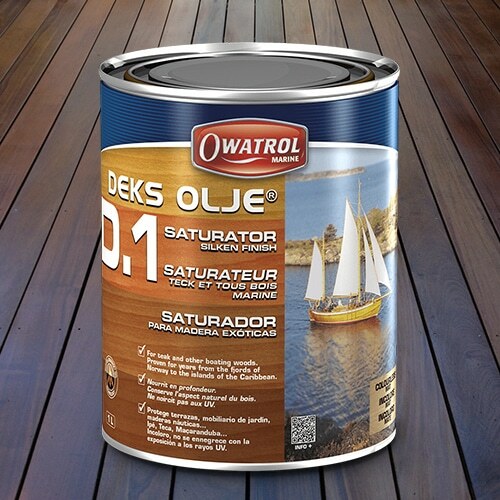 If your decking is hardwood then we would highly recommend using Deks Olje D1 which is a penetrative, saturating product providing protection from within with a clear matte finish which enhances the natural beauty of the wood. What tools will I need to finish my deck using Deks Olje D1? Do not thin Deks Olje D1 – use it as it is. The secret of Deks Olje D1’s success lies in its saturation of the wood to bring about an even ‘matte sheen’ finish when dry. Its place is within the wood not on top of it! Continue applying Deks Olje D1 ‘wet on wet‘ until a uniform, overall saturation of the wood is achieved. The number of applications needed will depend on the wood. Please note you should NOT allow Deks Olje D1 to become dry or touch dry between applications. Leave the final application for 30 minutes, then wipe over the surface to remove any excess and puddled material with a rag soaked in Deks Olje D1 and rung out so that it is damp to the touch. If necessary occasionally ring out the cloth to keep it damp but not wet. It is important that as much Deks Olje D1 as possible is applied on the first day as it must be kept ‘active’. This is done by the ‘wet on wet’ applications and the continual brushing over of the area, which assists and helps achieve maximum penetration. 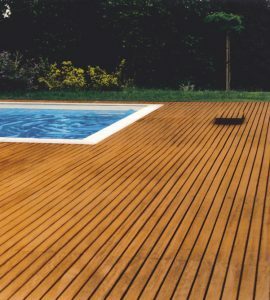 What if my decking is new? If your decking is new you can still use Deks Olje D1 but you do need to prepare the pores of the timber using Prepdeck and Net-Trol first to enable a finish to penetrate correctly.